Clicking on a date in the Monthly Report brings you to the Daily Report. 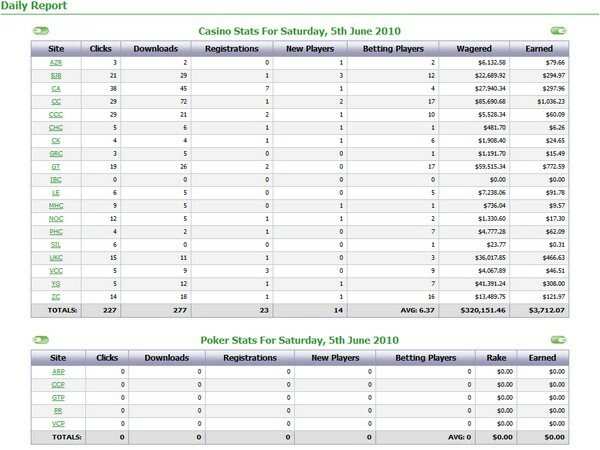 The daily report shows a breakdown of Clicks, Downloads, Registrations, New Players, Betting Players, Amount Wagered and Amount Earned for each individual casino. To view the Game Type Report, click a casino from the left hand column.